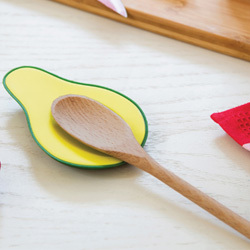 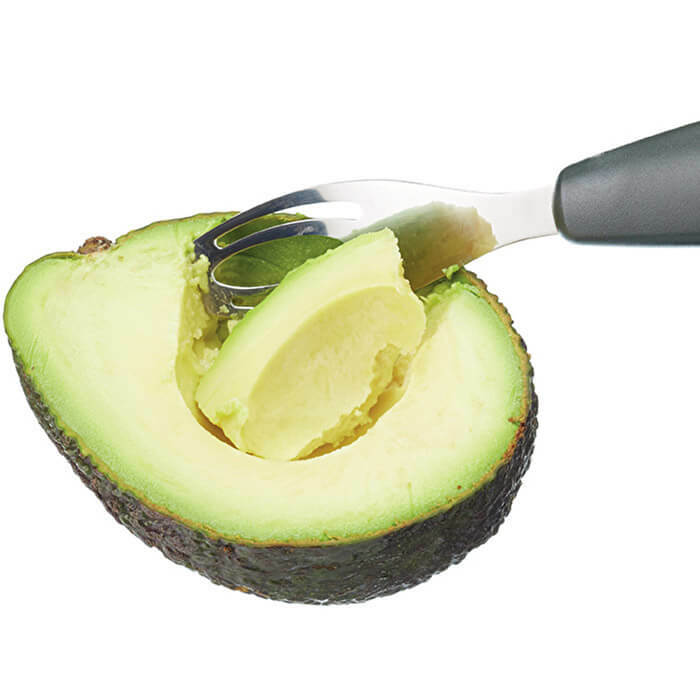 With its innovative design, this Kitchen Craft Stainless Steel 5-in-1 Avocado Tool offers a quick and mess-free way for you to prepare and enjoy fresh avocados. 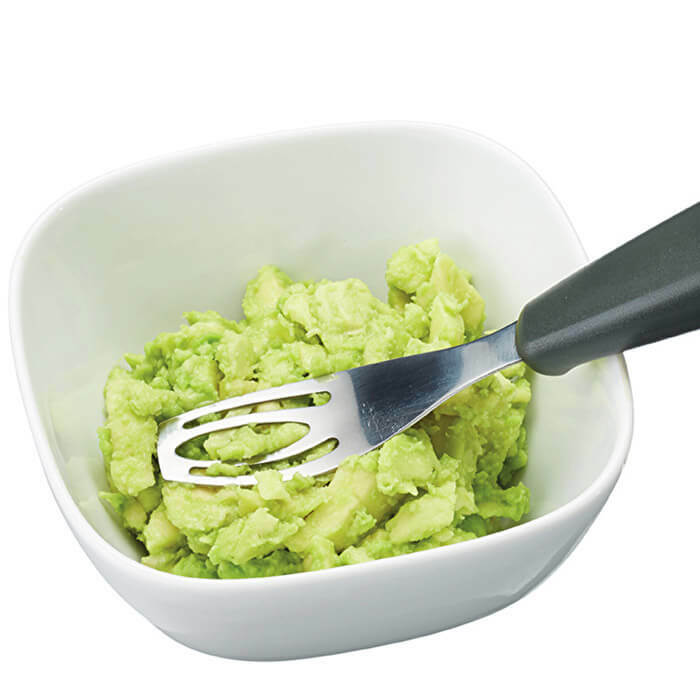 You can slice, cut, de-stone, mash and scoop really easily - there's no need for multiple knives, spoons or mashers. 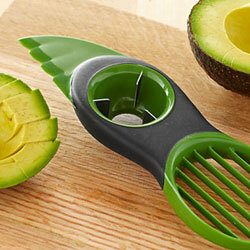 Manufactured from strong stainless steel, this avocado tool is tough. 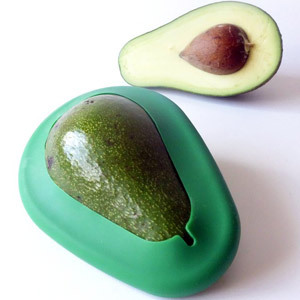 So, you don't have to worry about it bending when you apply pressure to slice your avocado up into chunks. 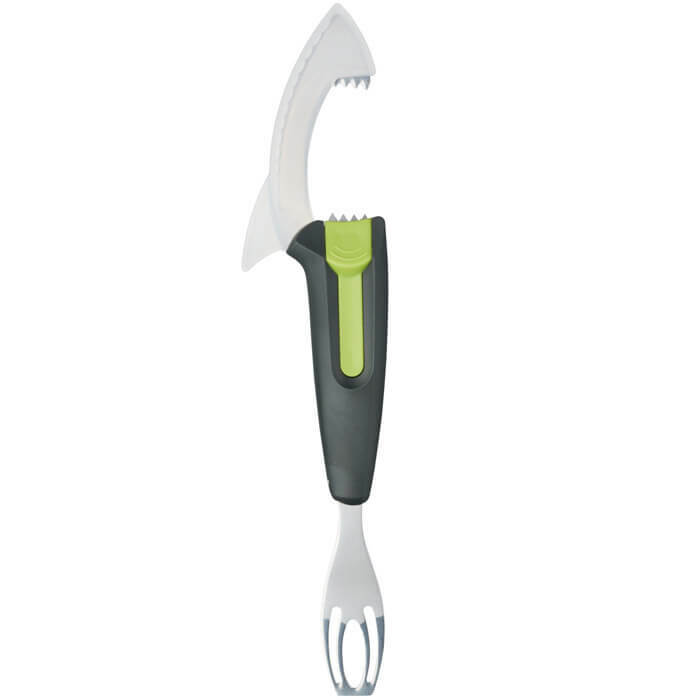 Its rust resistant and won't taint with use either, which makes it great for every day use. 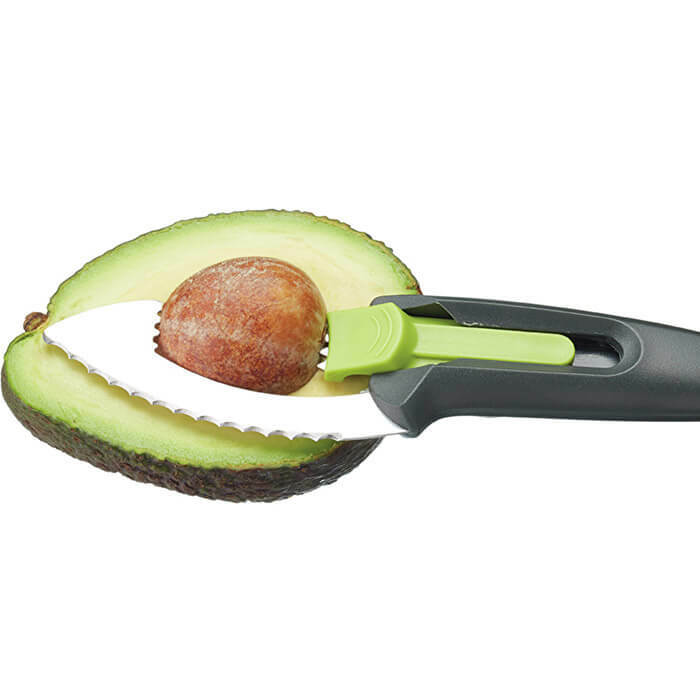 It's designed to cut the toughest of skins. 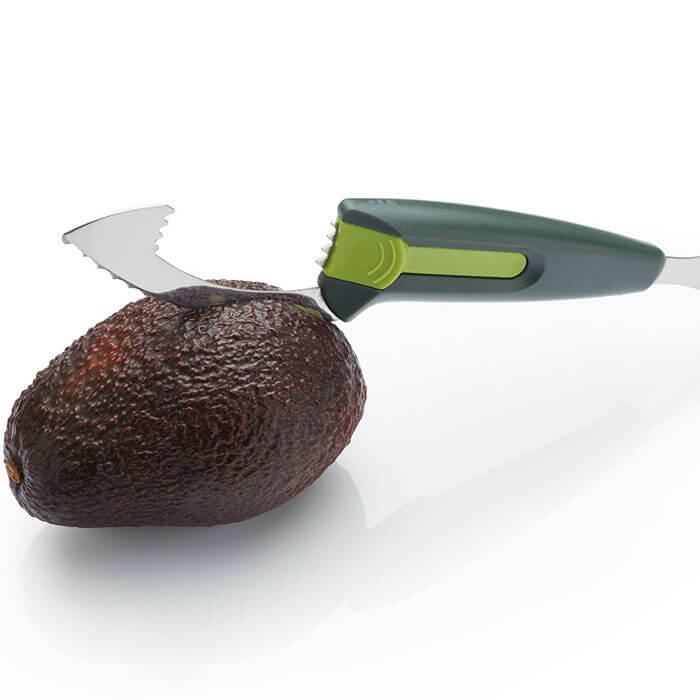 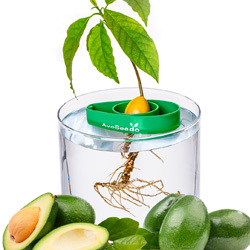 There's also an adjustable de-stoner - so, it doesn't matter how big your avocado is, you can always remove the stone without too much effort.